In a forest of mics: Brady Coleman on Rag Radio at the KOOP studios in Austin, Texas, Friday, July 17, 2012. Photo by Thorne Dreyer / The Rag Blog. Inset photos below: Brady Coleman and Jim Simons. Photos by Alan Pogue / The Rag Blog. Brady Coleman, now a film actor and musician, was a prominent attorney representing movement activists in Texas and around the country. Jim Simons was Brady’s partner -- along with the late Cam Cunningham -- in Austin’s Movement Law Commune. 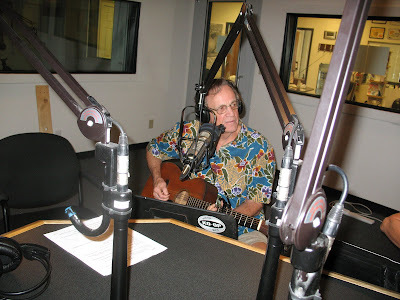 Brady and Jim were Thorne Dreyer’s guests on Rag Radio, Friday, July 27. They were joined by Brady's band, The Melancholy Ramblers, also featuring Frances Barton and Marco Parella. The Ramblers performed live on the show. Rag Radio features hour-long in-depth interviews and discussion about issues of progressive politics, culture, and history. 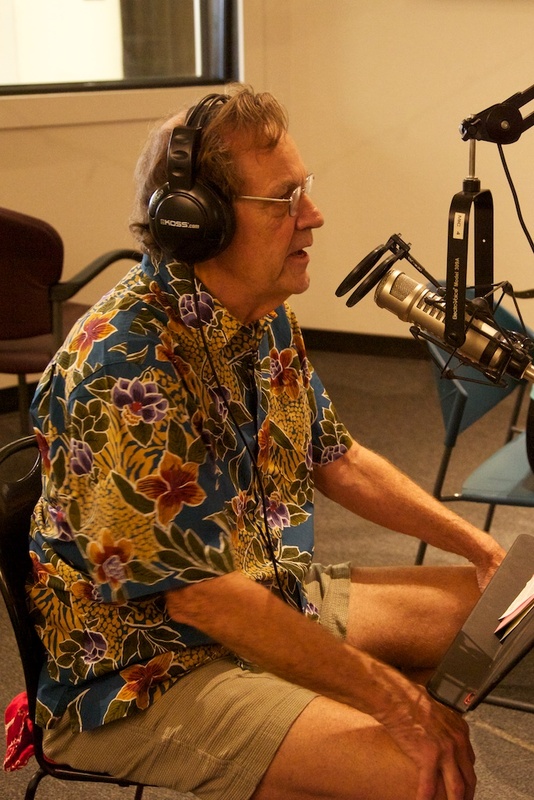 The syndicated show is produced in the studios of KOOP-FM in Austin, Texas, a cooperatively-run all-volunteer community radio station. It is broadcast live on KOOP and streamed live on the Internet, and is rebroadcast on WFTE-FM in Mt. Cobb and Scranton, PA.
Brady Coleman was a radical lawyer from the late ‘60s through the '80s, working with the Movement Law Commune in Austin, Texas. He and his original partners -- Jim Simons and Cam Cunningham -- were heavily involved in major anti-war and civil rights litigation, defending campus radicals, black, Chicano, and American Indian activists, and anti-war GIs -- in Texas and around the country. 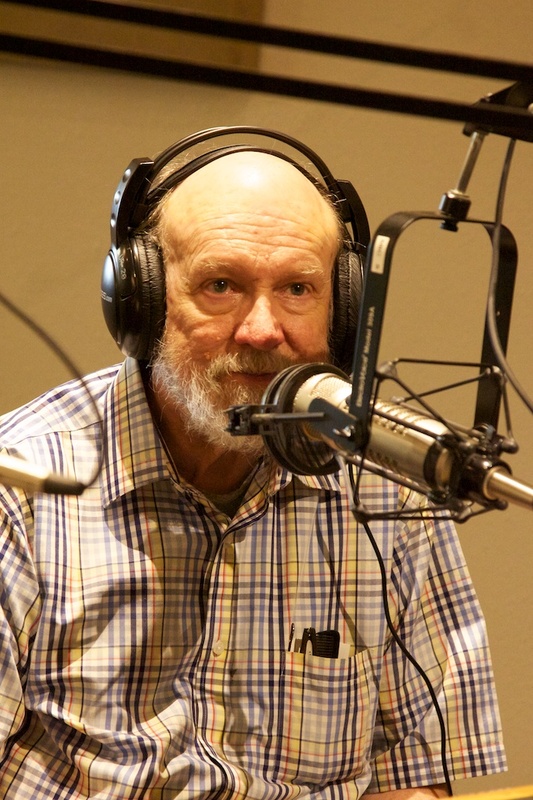 Jim Simons joins Coleman to discuss their late law partner, Cam Cunningham, who died earlier this month. Simons wrote about Cunningham in a July 15 tribute in The Rag Blog. Brady Coleman eventually gave up his law practice to work full-time in theater, film, and music. He has appeared in more than 50 films, from "What’s Eating Gilbert Grape," to Richard Linklater’s highly-acclaimed 2011 movie, "Bernie," in which Brady played attorney Scrappy Holmes -- and in television series including "Walker, Texas Ranger" and "Friday Night Lights." The Melancholy Ramblers -- featuring Coleman, Frances Barton, and Marco Perella -- are a popular Austin band that play an eclectic mix of country, folk, gospel, honky-tonk -- and the occasional Irish revolutionary anthem! Writing at the Internet Archive, a reviewer of the Rag Radio podcast said, "The fascinating stories are interspersed with spirited Texas music that lifts the heart and fires the spirit. If you are a wayward daughter or son of the lone star state, this is an essential audio history." 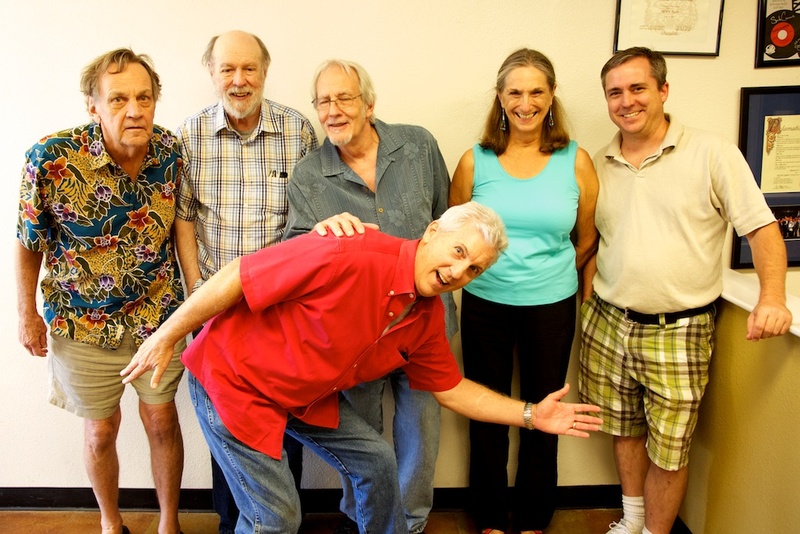 Not So Melancholy Ramblers: From left: Brady Coleman, Jim Simons, Rag Radio's Thorne Dreyer, Frances Barton, Rag Radio engineer Tracey Schulz. In front: Marco Parella. Photo by Alan Pogue / The Rag Blog. THIS FRIDAY, August 10, 2012, Rag Blog writers Bruce Melton and Roger Baker on global warming and climate change denial. August 17, 2012: Lynn Stout, author of The Shareholder Value Myth, and Mike Lapham, co-author of The Self-Made Myth.